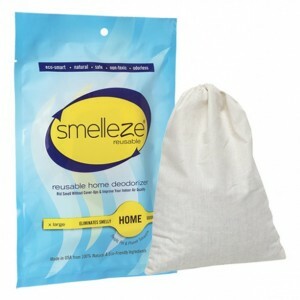 SMELLEZE Natural Daycare Smell Remover: 50 lb. Granules Eliminates Children Odors Summary Smelleze® Eco Daycare Smell Removal Granules removes daycare & school smell without masking with harmful fragrances. School odor & preschool smell doesn't stand a chance. Safe for people, pets & planet. This green daycare odor remover deodorizer really works to get rid of child odor & child smell. Features & Benefits • Simply sprinkle & smell the difference • Eliminates child smells instead of covering them up • Eco-friendly, safe, non-toxic, natural, odorless • Creates a cleaner, healthier, safer, environment • Can be used in all day care & child care facilities • Made in USA Destroy Daycare Odors Safely! Daycare facilities can quickly become overcome with unpleasant odors from used diapers, urine, feces, spills, food, vomit, ect. making it unpleasant for the babies, parents and caretakers alike. Covering up daycare odors with potentially harmful fragrances only result in even more offensive smells. 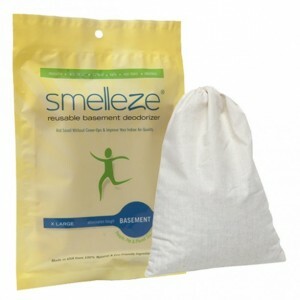 The safe Smelleze® Daycare Smell Neutralizer Granules was developed to destroy tough daycare odors from urine and feces while eliminatorling flies. It will leave your facility smelling fresh and clean without the use of scented and polluting masking fragrances. This will help create a safe, healthy chemical free environment. 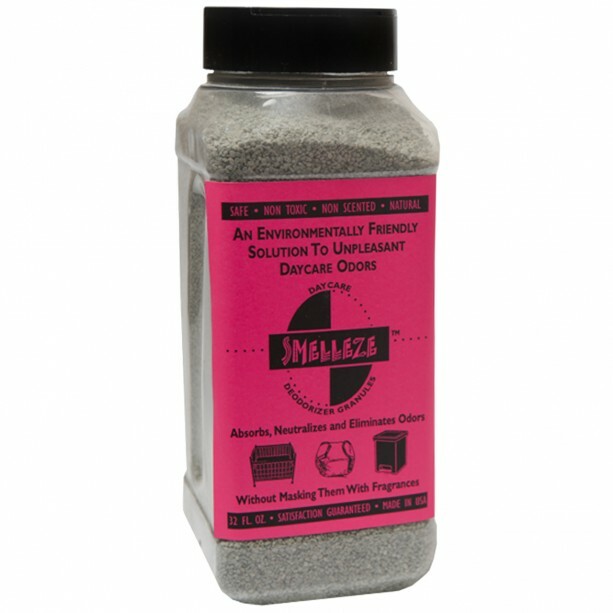 To use, simply sprinkle Smelleze® Daycare Odor Neutralizer Granules on odor areas such as diaper pails, carpets, floors, spills, vomit and smell the difference. It will eliminate all tough odors and keep your daycare smelling fresher longer. Smelleze® Daycare Smell Removal Granules is non-toxic, safe, recyclable, natural, odorless, non-flammable and non-caustic. 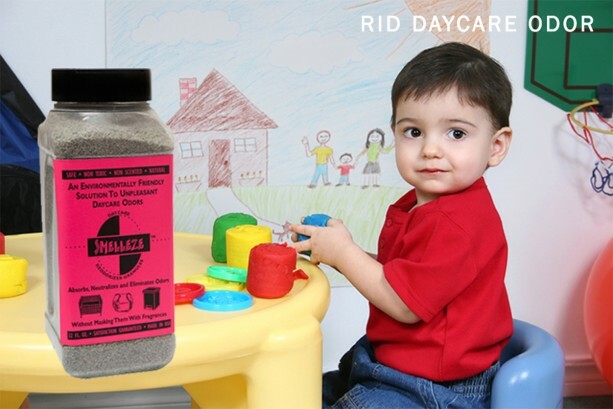 Smelleze® Daycare Odor Removal Granules is an ideal environmentally friendly solution for destroying tough daycare odors without adding pollutants to the air you breathe. It does not contain VOCs, harmful or ozone depleting chemicals and is especially beneficial for those suffering from allergies and chemical sensitivity. No fossil fuels are used in the production of Smelleze® odor eliminator deodorizer media.